Ideally, we should all save up for big expenses, that way we never have to pay interest, and will actually earn interest while saving. But sometimes we want or need the money sooner rather than later, and in those circumstances we should focus on keeping the interest we have to pay to a minimum. 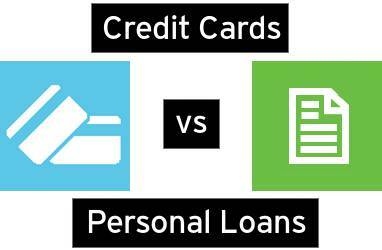 There are many different forms of personal credit out there, and the most popular are credit cards and personal loans. If you need money sooner than you can earn it, the best type of credit will depend chiefly on how much you want to borrow and how quickly you can pay it back. Either due to poor budgeting or unexpected expenses, you might find your bank balance approaching 0. For small amounts you won't have to pay too much interest if you go into your overdraft. Make sure your current account has an authorised overdraft, and if you are likely to dip into it often find a bank account with a low overdraft interest rate, and no additional fees for using it. Some accounts even offer 0% overdraft interest providing certain conditions are met. Try to avoid pay day loans, which have an extremely high interest rate. If you're planning an expensive trip, and want to book it before you've saved up the cash to pay for it, the best option is a credit card. Find a card that has 0% on purchases. Make sure you repay in full during the promotional period, and you won't have to pay any interest. If your credit history stops you from getting this kind of card, plan how you are going to repay and make sure the terms of your deal allow this. Most companies allow you to pay your repayment early without additional charges, which could save you money in interest too. Credit cards also have more purchase protection than bank cards, so if your card is stolen you will not be liable for purchases you didn't make. A brand new car is an expensive purchase, and you will pay less interest with a personal loan rather than a credit card. The repayments will likely take a few years, and often there will be an additional charge to repay early, so check the terms to see if this will cost more than the interest. You can find a loan to suit your needs through the Money Dashboard website in our ‘Save' section, which compares the best loan rates available. Home improvements can be very costly, and the best way to get your hands on this amount of cash is a secured loan. The secured part means that there will be significant collateral due to the lender if you fail to repay. In most cases this is your home, making a secured loan similar to a mortgage. Both secured and unsecured cheap personal loans are available through the Money Dashboard website.